But in true Sonic Team fashion, you know that the team in charge of the team that made this game has to find a way to absolutely spoil the soup; And they do so in spectacular fashion. 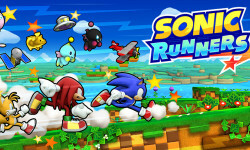 It’s clear that Sonic Runners is a game made to be a mobile “freemium” title developed and operated by a publisher that have never made such a game before. The game is loaded to the brim with almost every pay gimmick imaginable: pay for red rings, limited lives, THREE separate roulette wheels for unlockables using an in-game currency that doesn’t come in ample supply but you can totally spend real money to earn gobs of. As I write this, the game has a Classic Sonic playable character players are able to unlock, but only on the six percent chance that the roulette wheel (worth 50 red rings or 10 boss kills to spin once) lands on it. 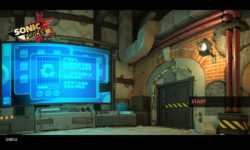 The game, like any other free-to-play title, is also chock full of advertisements. These video ads can be viewed for a free life, which isn’t unreasonable all things considered. It only gets jarring when they pop up in between levels, or when you quit the game and they throw up an ad. Some of these run for 10 seconds, others can be skipped after five seconds. I ran into some that run for a full 30-45 and did not offer the opportunity to skip or close the ad. These are rare, but the fact they’re allowed through is awful. Having them go up between levels is also a strange choice. It’s like playing Sonic Adventure and having an ad show up for Hydro Thunder after clearing Emerald Coast. But the biggest complaint I have on the game is easily required online. Why developers force this as an attempt to prevent cheating is beyond me, as it just extremely limits when the game can be played. I’m not blessed with a great data plan, and playing during the commute is basically impossible without risking overage charges or losing signal if I’m taking the subway. Others will come sympathize with this too, and there may be people with slow or wonky internet connections for whatever reason. While this solution may work for the tightly packed metropolitan areas in Japan, it’s pointless through out the rest of the world. It also does not help that the game dangles Amy Rose as a playable character over your head like holding a strip of bacon over a dog, but only if you spam your Facebook friends with invites to play the game and then 10 of those sign up. Why even resort to this kind of tactic unless you’re that deathly afraid your game will fail, especially when it’s associated to one of the few platformer brands to survive the ’90s and still have some sort of recognition? 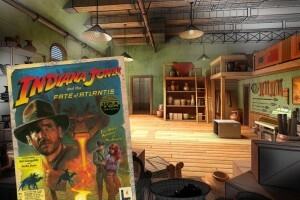 The game would be INSTANTLY improved just by removing forced online and removing the life limit. As it stands now, Runners is a good core game buried under so much garbage that it chokes the experience. You’re almost better off spending the $2.99 for Rayman Jungle Run and its sequel since it does what Runners here tries to do without any of the stupid overhead. You can even play it without being connected to the Internet! What a concept! I don’t know why I’m so disappointed with the game. It could just be frustration of the usual Sonic Team mantra of “one step forward, three steps back” that makes being a fan of the series really frustrating, especially considering this is the “big” Sonic game of the year. If you can get through the layers of garbage Sonic Team piled on the game, you may find yourself hanging around, but it becomes an exercise of patience as, unlike Sonic Dash, spending real money does not make the advertisements go away. 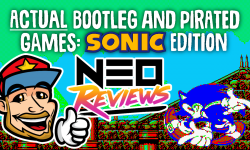 The post Sonic Runners: The Retro Review appeared first on Sonic Retro.